Just Listed :: Charming Condo in McGill Place! Welcome home to this wonderful one bedroom, one bathroom condo in McGill Place. Convenient to Midtown and Downtown’s finest attractions, you will be in the middle of it all including prestigious shopping, award-winning restaurants, and exciting nightlife. Easy access to I-85, I-75, and Freedom Parkway makes virtually all commutes a breeze. · Kitchen features ample cabinet space and open views to the living and dining rooms. · The living room boasts a vaulted ceiling and cozy gas starter fireplace. · The separate dining area is perfect for entertaining. · The bedroom is complete with a large bay window and a walk-in closet. It also has easy access to the hall bathroom. · The covered balcony provides additional living and lounging space that’s perfect for outdoor enjoyment and entertaining. · New paint and carpet! · Wonderful amenities include gated access and a well-maintained pool. 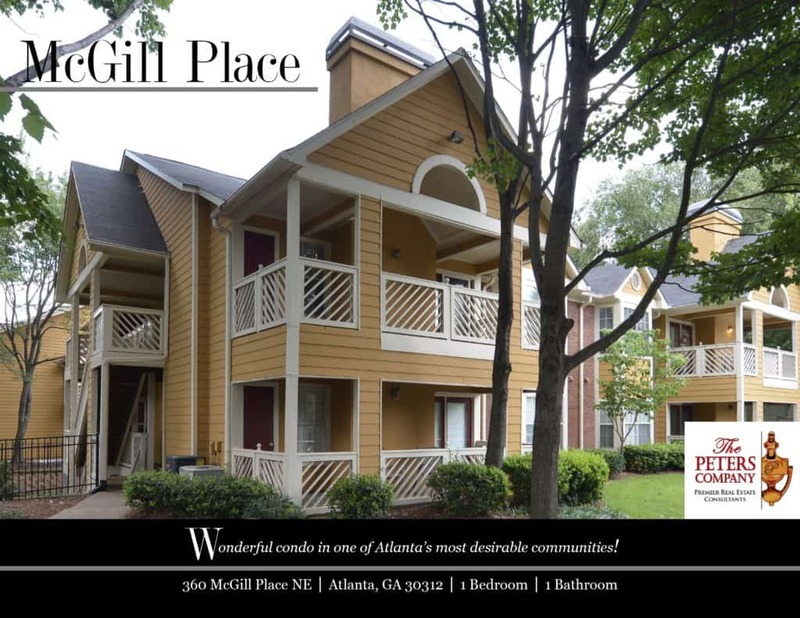 Call The Peters Company today to see this wonderful condo at 360 McGill Place NE… 404-419-3619!